The Brother FAX 575 is a Personal Plain Paper Black and White Fax machine. The Brother 575 also features a copier and telephone. 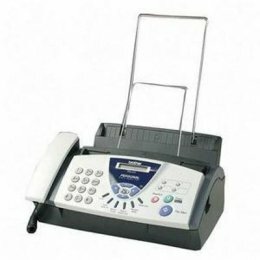 The Brother Fax575 Fax Machine's best transmission speed is 15 seconds per page.